Our goal at Live Well in WNC is to provide the highest quality services in a timely manner to our patients. 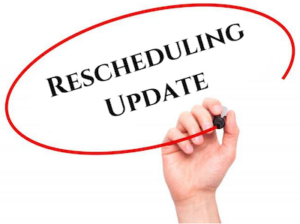 In order to do so, we are implementing an appointment cancellation/rescheduling policy which will enable us to better utilize available appointments for our patients. We will do our best to reschedule your appointment but without any priority. If you no-show 3x or more without calling beforehand to reschedule, you may be asked to leave the practice. We may try contacting you/leaving you a voicemail to reschedule dependent on other patient’s urgencies. Please be sure to confirm your appointments so we know you’ll be attending your appointment. The new patient will not be invited back to the practice. Your consideration is greatly appreciated. Exceptions to this policy will be considered on a case by case basis.